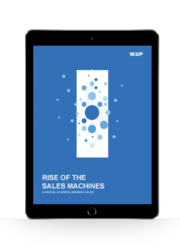 Need some pointers on how to use AI solutions to boost digital sales? Look no further than your competitors. And while you’re at it, you should also check what other industries do. Here are six use cases for inspiration. Easy access to smart devices, algorithms and data have turned AI technologies into game-changing business tools. And they’re just getting started: PwC estimates that AI could contribute up to $15.7 trillion to the global economy in 2030, more than the current output of China and India combined. 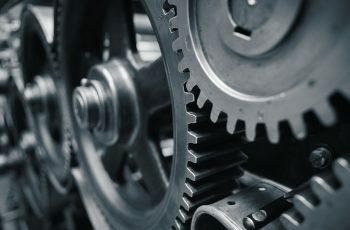 AI already plays a crucial role in increasing productivity, cutting costs and providing in-depth customer insights for sectors like retail, manufacturing and telecommunication. Not to mention technology, where big players like Amazon or Alibaba are making AI part of their game plan in various shapes and forms. And here’s another staggering number: the potential value it can unlock in sales and marketing alone amounts to $2.6 trillion in 19 global sectors, McKinsey says. Companies outside the financial services sector use AI solutions to impact sales in the most creative ways, from supporting new products to generating leads. About 74% of organizations implementing AI see a growth of more than 10% in the sales of new products and services. And over two thirds of them also use it to beef up the number of inbound customer leads, according to a survey by Capgemini. Caesars Entertainment, a casino and hotel operator, has teamed up with a third-party data platform running on Intel-based systems to process customer data and gain real-time insights for personalization and recommendation engines. The ML-driven platform helps Caesars understand customer journeys, based on interactions through reservations, social media, credit cards and kiosks. Caesars has been facing a shift to non-gaming expenditures and now they have a better understanding of how and where guests are spending their money and tailor offers to their customers’ interests. As a result of the project, Caesars has achieved top-line growth and tapped into new revenue streams. Cosabella, a luxury lingerie retailer, has moved to an AI-managed marketing platform, which automates digital advertising and marketing efforts, such as targeting a high-value audience and driving paid search ROI. Over a three-month pilot, the platform produced a smashing 336% return on ad spend (ROAS), along with a 155% bump in revenue. Before they shifted to AI, social media had accounted for 5 to 10% of Cosabella’s paid ad revenue. Since the adoption of the platform, it has consistently accounted for 30%. Leroy Merlin, a French company specializing in home improvement products, used to order new stock on Fridays, but defaulted to the same items every week so they could start their weekend sooner. The company now uses algorithms to take into account past sales data and other information that could affect sales, such as weather forecasts, so they can stock shelves more effectively. This has helped them reduce inventory by 8% even though sales have gone up by 2%, according to Vekia, the AI startup that engineered the program. Big tech companies, such as Google and Amazon in the US, or Alibaba and Baidu in China, are best in class when it comes to AI. They use it to increase sales through product recommendations, targeted advertising and forecasting demand. And AI is about to become even more important for them as they are expanding into financial services, posing yet another competitive threat to incumbent banks. Ant Financial, Alibaba’s online payments affiliate, is already experimenting with facial recognition for approving transactions. 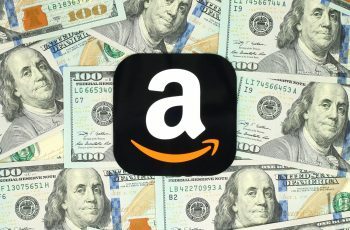 Amazon is right back at them, reportedly looking into ways of using its virtual assistant, Alexa, to start a person-to-person payments feature, fueling new competition with PayPal and banks. Some of the tech giants have rolled out AI services for banks, although these are more focused on user experience and customer engagement. Amazon has agreed with JPMorgan Chase to let institutional clients receive stock information, and possibly bond and swap prices from Alexa. Other banks, such as Capital One Financial, put Alexa to good use in their consumer operations. The financial services sector is among the top three industries where PwC expects AI to explode in the future (besides healthcare and the automotive industry). The three areas here with the biggest AI potential are personalized financial planning, fraud detection and anti-money laundering, process automation in back-office and customer facing operations. But banking sales activities, including pricing as well as product and services origination, are also expected to greatly benefit from artificial intelligence. McKinsey estimates that the potential value of AI in banking sales and marketing is up to $200 billion. This is the big prize. No wonder that a number of European banks have already replaced their old statistical-modelling approach with ML techniques in recent years, only to see a 10% increase in the sales of new products. These gains have come largely as a result of devising new recommendation engines for retail and SME customers, and building micro-targeted models that more accurately forecast who will cancel service or default on their loans, and how best to intervene. BBVA of Spain, one of the frontrunners in digital banking among incumbents, has developed a service recommendation engine to offer clients the best commercial offer based on their most used transactions and navigation patterns. All this data is processed in a classification algorithm, which then generates a recommendation. “The volume of information is incredibly vast and the only way to offer a recommendation is using machine learning technologies,” a bank rep explained. Danske Bank in Denmark is also using ML for predictive models to assess customer behavior and personal preferences as well as to predict customer needs. “Based on online behavior we identified customers in a specific situation where financial advice is needed. For instance, when a person changes jobs with a new salary and pension plan,” they said. The bank can now reach out to customers proactively and has achieved 62% better results than in their traditional campaigns. A top consumer bank in Asia boasted a large market share but was lagging behind in products per customer. It has started using advanced analytics to explore various sets of big data: customer demographics and key characteristics, products held, credit-card statements, transaction and point-of-sale data, online and mobile transfers and payments, as well as credit-bureau data. The bank has discovered hidden similarities that allowed them to define 15,000 microsegments in their customer base. They have then built a next-product-to-buy model that increased the likelihood to buy three times over. 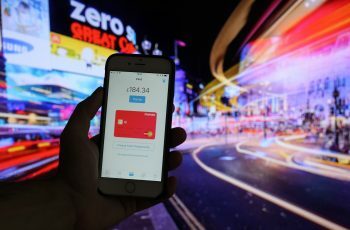 Banks who want to boost digital sales should definitely make AI a vital part of their strategy. And join a widening pool of companies in the banking sector and beyond who enjoy the enormous benefits and endless opportunities AI-driven solutions offer.